Korean conglomerate, Samsung, has officially lunched the much talked about smartphone- Samsung Galaxy J7 Prime. It features 13MP rear camera, full HD display, 3GB RAM, android 6.0 marshmallow and 3,300mah battery. 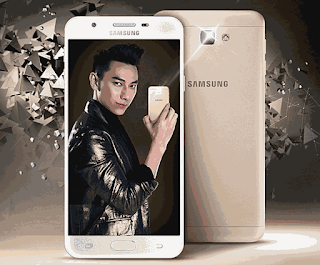 Below are the full specifications of Samsung Galaxy J7 Prime. Colours available: Black, Stylish Gold.